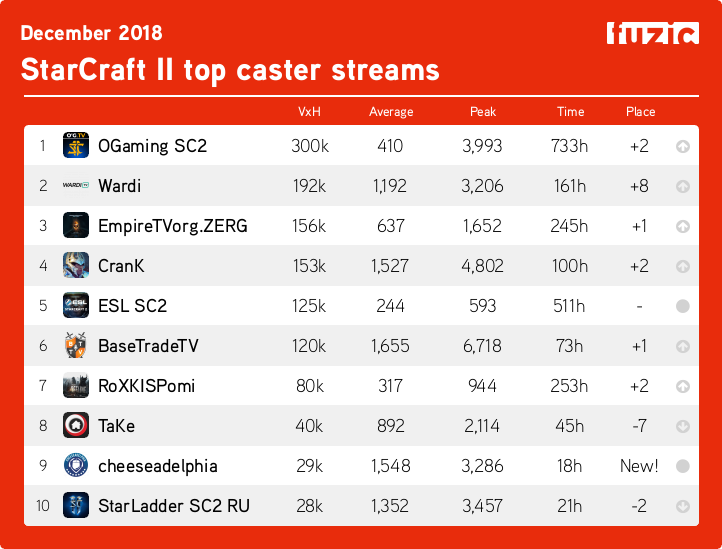 The last month of 2018 was not particularly interesting - the top streamer list is mostly filled with the usual suspects. 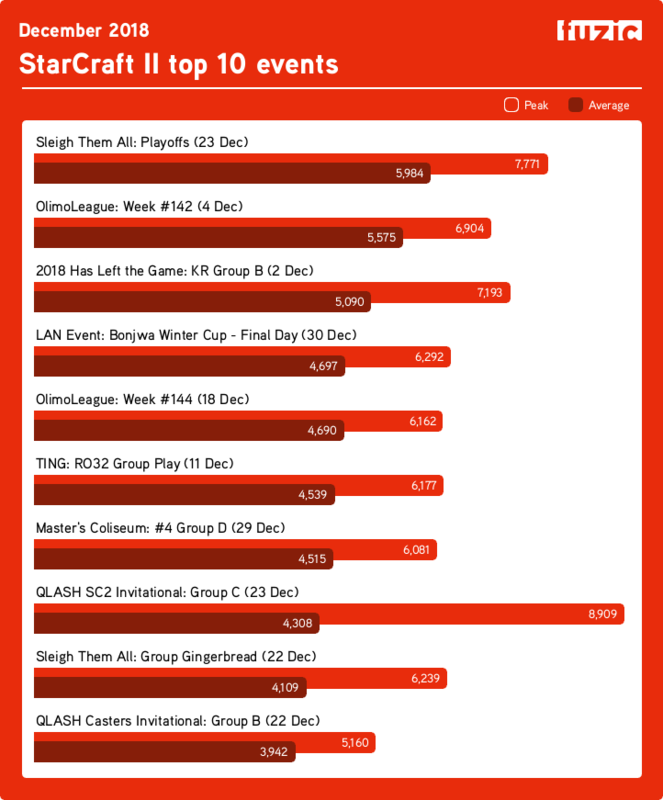 Event-wise, most big tournaments or series were on a break over the winter, so we see some end-of-year-themed events pop up and score quite decently, with Sleigh Them All taking this month's top spot. 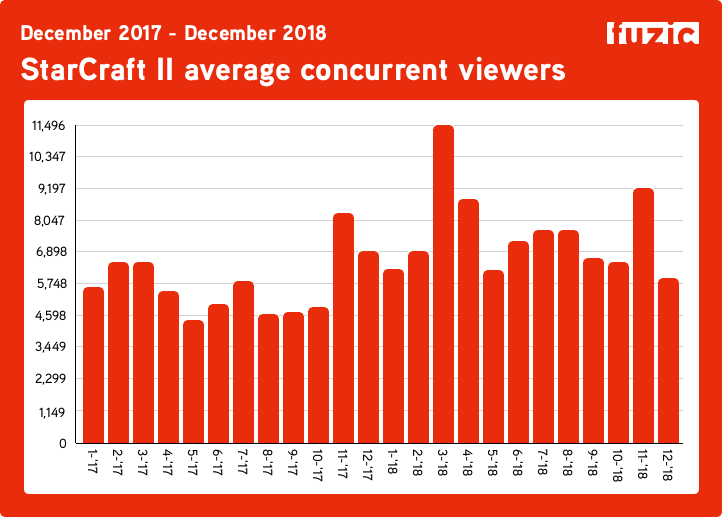 Curiously, this December actually scored worse than December 2018; perhaps because last year's december had a few more high-profile events in it. 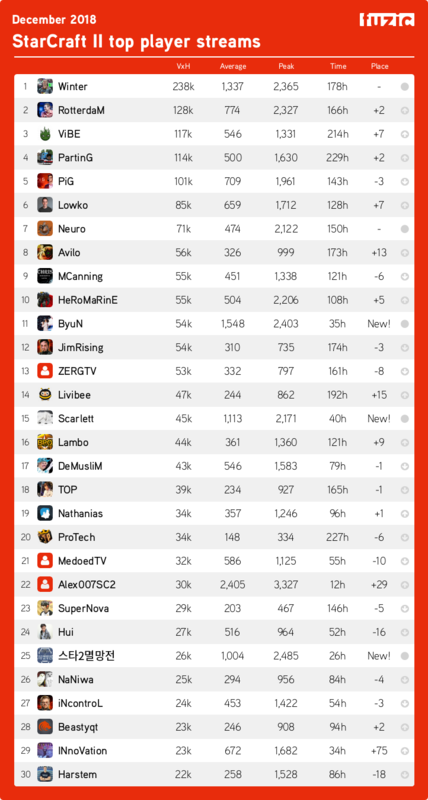 Impressive climb by Avilo. His TLO vs Alpha Star commentary was awesome. And yet I rarely catch him online Damn his time regime! Surprised to not see JuggernautJason on there. Seems like he always pulls decent numbers.